gba roms : snes roms : n64 roms : sega genesis roms : ect. Since the beginning of the video game emulation the biggest problem people have had is getting the roms ;) 95% of websites that tell you that they have roms actually have broken links and the rom downloads are not working. This is not because they webmasters want to trick you (well some of them do but I will talk about that later). The reason that the downloads don't work is that providing commercial game roms on the internet is illegal, so there is practically no way to get a decent server for hosting roms. What most small websites do is store the roms on free hosting space at GeoCities, Tripod etc. The problem with that is that as soon as the owners of the server notice the rom files on their server they delete them and until the files are reuploaded and html links on the websites fixed all you see are broken links. This just goes to show that you can't expect Websites to be a reliable source or roms. Is there an alternative? So where are the roms? The answer is - you have to dig a little deeper. The solution is new Peer-To-Peer (P2P) networks like Napster only the new networks in addition to MP3 files let you share ALL kind of files so there we get to sharing roms! File sharing is the act of making certain files stored on your computer available for other people to download thus sharing them. Other users also share their files to make a huge online collection. You use a file-sharing client, such as KaZaA Lite to search this collection for something you're interested in, and can then download it directly from the other user(s) hard drive(s). This idea was originally made popular by Napster, which has subsequently closed to develop a new version of their file sharing program. Unlike Napster, where file types were restricted to music files, KaZaA Lite allows these shared files to be all sorts of different media: audio files, video clips, photos and even software applications. If you have a band, getting your tracks on the KaZaA (FastTrack) network is a great way to get your music known and recognized. Budding filmmakers can have the same sort of exposure. It's called peer-to-peer because of the way in which files are downloaded directly from other users' hard drives. Traditionally, when downloading files, you get them from a large server. Everyone connects to this server to download the files so it needs a lot of bandwidth. This structure is called a hierarchy, because all the users computers 'look up' to the big servers. The FastTrack network has no servers every computer is on pretty much the same level. They communicate and transfer files between each other, which means no single machine requires lots of bandwidth. With KaZaA Lite, you can even download bit of the same file from different users to make the most efficient use of bandwidth. So install KaZaA Lite and start downloading! Nintendo is one of the best game makers in today's world and it won't be unfair to say that Nintendo is the one which redefined gaming as we know it today. 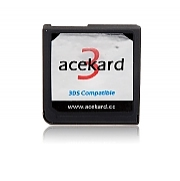 With th release of the new 3D enabled N3DS console the old R4 DS and R4i DSi flash cards has been replaced by the new R4 3DS compatible media cart. Well this truly is an incredible newer version as compared to all the Nintendo games. These N3DS flash card operated media cart is the best Nintendo has to offer. It can open media files be it audio or video in a kaleidoscope of formats. Gaming is the new form of entertainment for the next generation gaming freaks. It is these games and this quality of entertainment that defines the lifestyle of this generation next.